A TATTOO STUDIO IN Galway is currently offering a serious of impressive and detailed Father Ted-themed tattoos to celebrate the show’s recent anniversary. Angus at AWOL Tattoos and Piercings has completed some beautiful pieces recently paying tribute to twenty years of Ted. Email “10 wonderful tattoos inspired by Father Ted”. 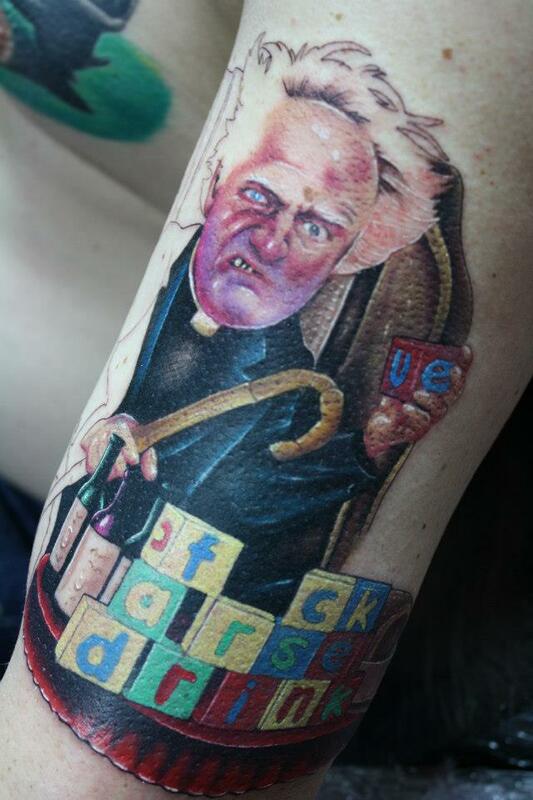 Feedback on “10 wonderful tattoos inspired by Father Ted”.